Urings Voyages 1725, rebound in full sprinkled calf with oxford panels. Brirish Wild Flowers, bound in half vellum with decorative paper sides. Dance of Death, bound in half leather, black morocco with paste paper sides, and a red morocco label. Dance of Death, bound in half leather, black morocco with paste paper sides and end papers. Dance of Death, red morocco label. Dance of Death, hand sewn headband. 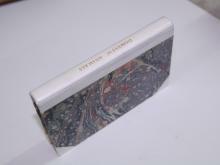 Large case binding, cloth spine and corners, Japanese paper sides. Case binding, vellum manuscript deed, with a leather label. Half vellum case with decorative paper sides and a leather label. 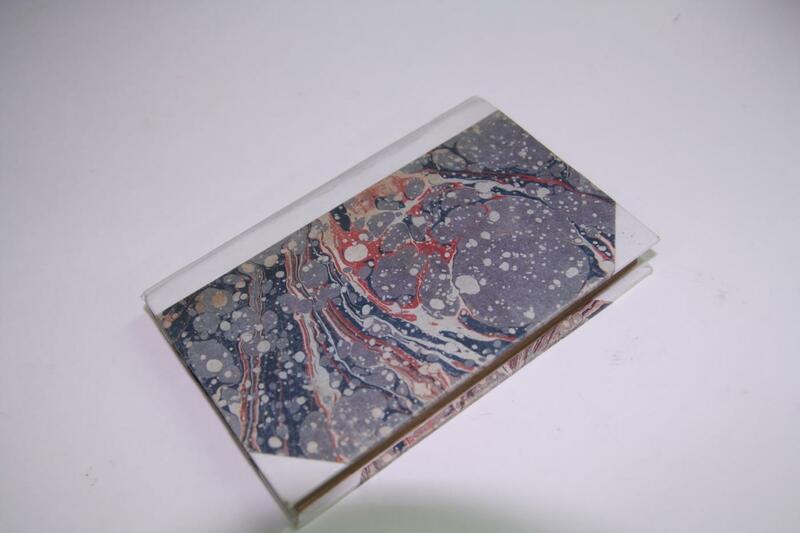 Quarter leather binding, decorative paper sides. Quarter leather binding, decorative paper sides, two raised bands. Half leather binding with Block printed paper sides. Quarter leather binding, morocco spine with block printed paste paper sides. Large half leather binding, calf with morocco label, vellum manuscript deed on sides. Alice in Wonderland, red morocco with marble sides. Half leather set, hand marbled sides. Heims Kringla 1696, Bound in contempory English style, in Full calf with a stained oxford panel, and green morocco label. Heims Kringla 1696, Bound in contempory English style, in Full calf with a stained oxford panel, sprinkled and blind tooled. Heims Kringla 1696, Bound in contempory English style, in Full calf with a stained oxford panel, and hand sewn headbands stained to blend in with the book. Heims Kringla 1696, Bound in contempory English style, in Full calf with a stained oxford panel. A full leather album, bound in calf. 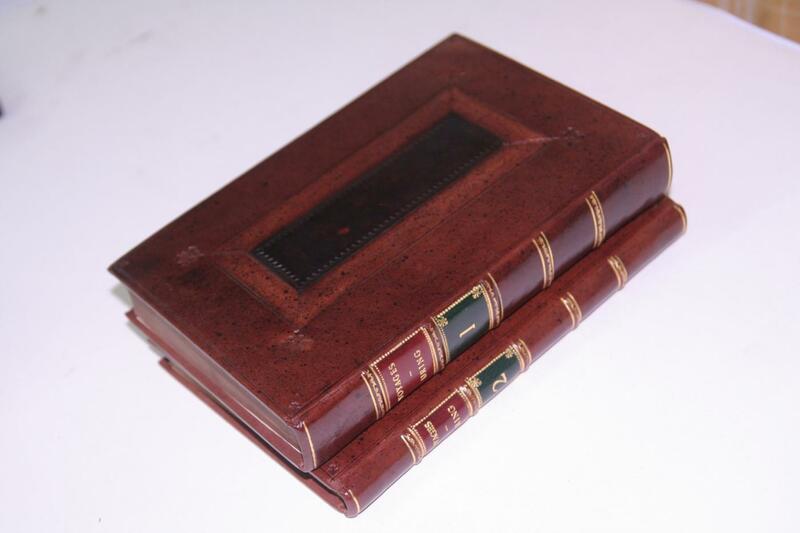 Painters Guide 1825, bound in half leather, stained calf, with hand marble sides, reproducing the original binding (which was water damaged). 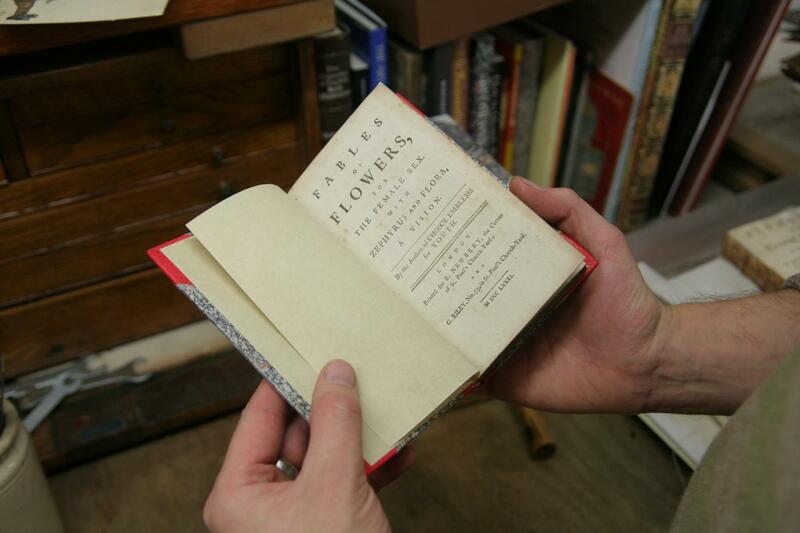 A very large family bible, rebacked in calf with a polished panel instead of a label on the spine.